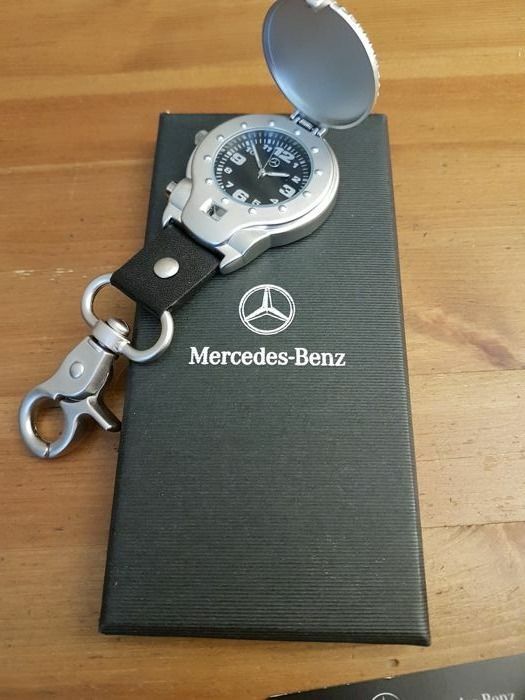 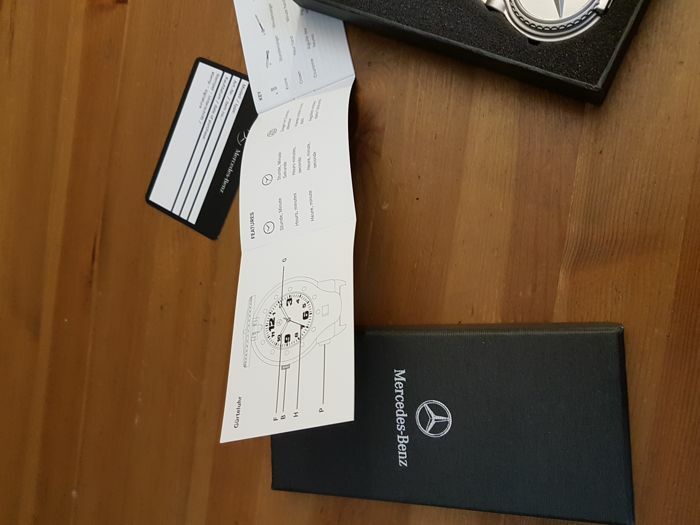 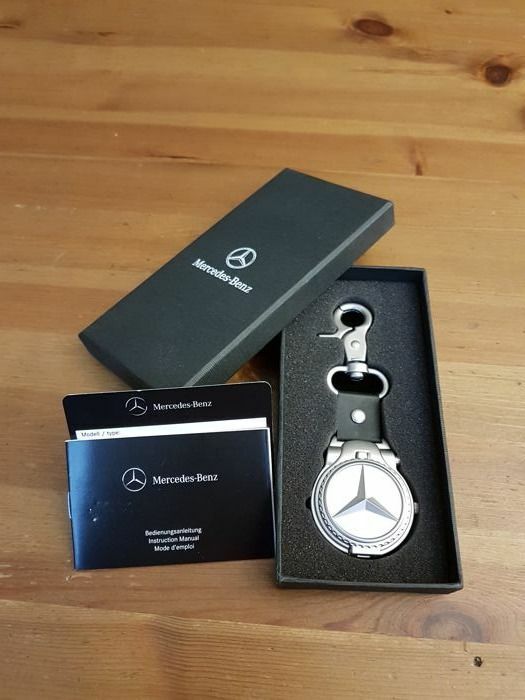 Beautiful rare belt watch by Mercedes Benz. 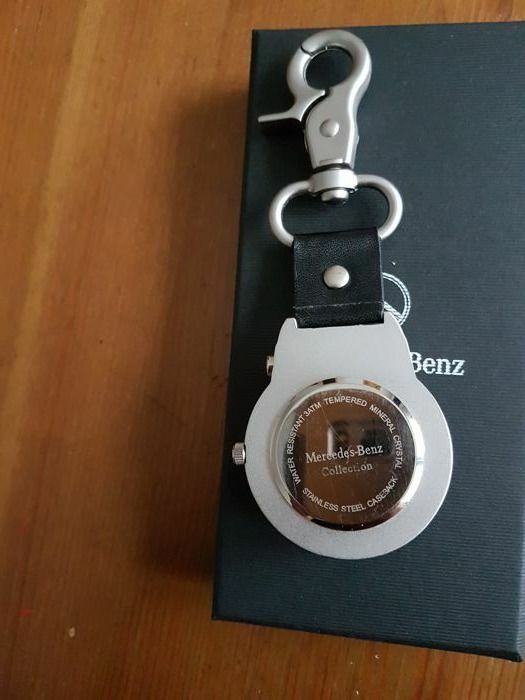 You can wear the watch on the key or on the belt. 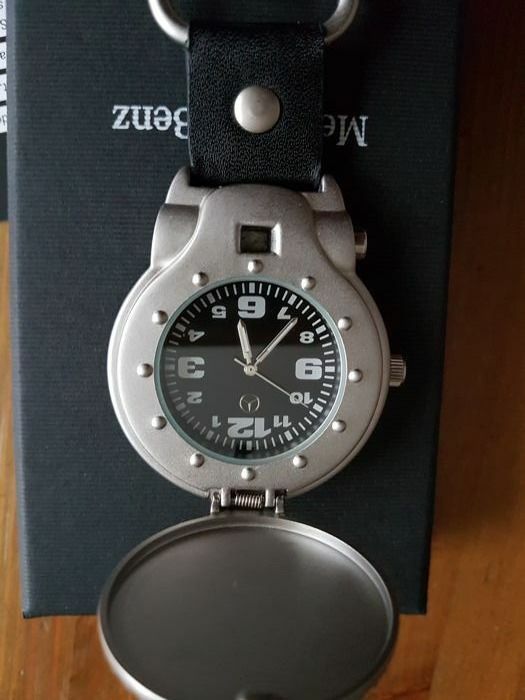 The watch cover automatically switches on at the push of a button. 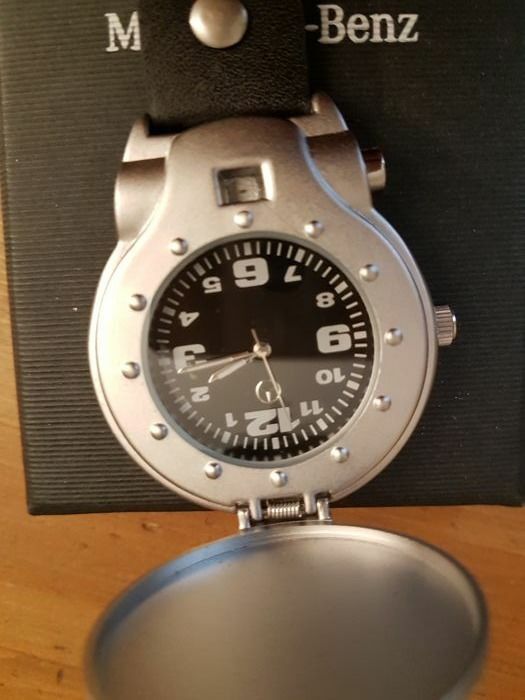 The watch has a Seiko quartz movement. 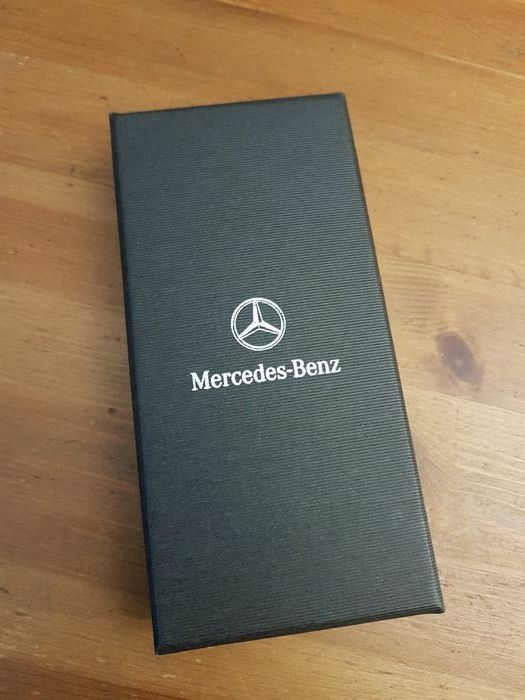 Will be delivered with original packaging.